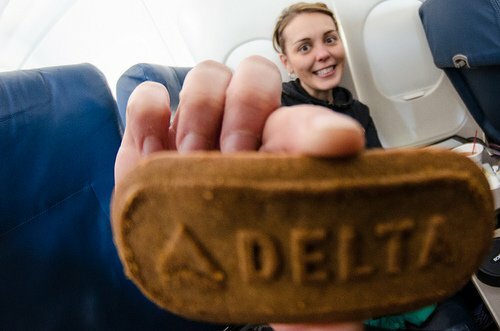 The list of Delta Airline’s transgressions against their SkyMiles members is a long one. Aside of the two-part SkyMiles Massacre production AKA Delta Smacks United, here are other examples of their never-ending onslaught. Instituted revenue-based Medallion qualification program. Butchered earning miles and MQMs on partners’ flights. Increased lounge access rates by $50. Increased the ticket change fee by $50. Removed premium liqueur from Sky Clubs. Eliminated elite members access to 3rd party lounges. Is this the whole list? I’m sure it isn’t. So feel free to make your own list or add your favorite Delta pet peeves in the comments. If I had a dime for every time when a pissed off Delta customer swore they would never use the airline again, I would… well, have plenty of dimes. So where are all these pissed off Delta customers? Where did they go? Have they deserted the airline and moved to greener pastures, I don’t know, United? American? Spirit Airlines? No, they haven’t. Most are still with Delta. And they will remain with Delta. Some are captives, and other simply don’t matter. Well, I completely understand why I don’t matter–I am not a business traveler–but alas, all of you, sky warriors, don’t matter, as well. I loved this quote from Joe Brancatelli’s article so much, that I had to bookmark it. I read it almost a year ago. And why can they afford to piss you off, you wonder? Because in the airline industry, bad behavior is awarded and encouraged. Oh, and also because nobody cares. If you think that these Business Travel News ratings are irrelevant, you are wrong. They are submitted by people who really matter: your company’s travel department. In their view, every anti-loyalty action Delta has done in the last two years, including their new atrocious revenue-based earning system, means nothing, because they have not impacted corporate bottom lines. If they not only do not push back, but reward this behavior with the vote of confidence in the airline, it may mean one thing only: the concept of rewarding loyalty is dead. Long live rewarding HVCs–High Value Customers. Travel managers care for other things. Things like better planes, better performance, better flexibility, and most importantly, better customer service. Delta is, without a doubt, a better US-based legacy airline. It might be marginally better, but better nevertheless. 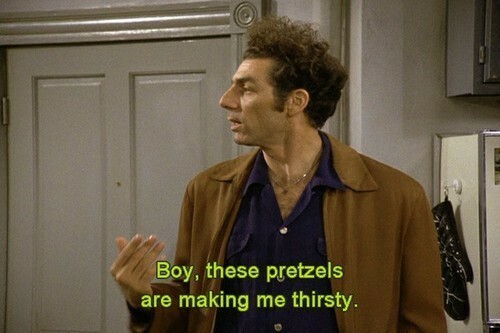 Pretzels, you see! Who can argue with that? Of course, there has been criticism, too. It’s not like Delta has managed to cast a spell on everyone. Well, no biggies! This is only one area, while there are 10 other areas that travel managers love about Delta. They will get over this little issue quickly and easily. Think about it this way: why would they lose their sleep over your upgrades, lounge access, and other perks? Are you going to stop showing up for work? Of course, as I’m writing this, I’m not thinking about Delta. Or United for that matter–they are already there. I’m thinking about American. In my last year piece Delta Smacks United, I predicted that American would raise their redemption levels immediately after their merger would be approved. Please believe me when I say I was very happy to be proved wrong. Nowadays, however, American Airlines has no place to go but for the same revenue-based system, no matter what they say (or rather don’t say) publicly. What airline executive in their right mind is not Delta-envy? Unfortunately, Delta has proven that as long as they build a better airline than the competition, they can get away with pretty much anything from nickel-and-diming to highway robbery. This is bad. For decades, frequent flyer programs have been raking in profits for airlines even as the airlines themselves, one after another, have gone into bankruptcy. The programs are still profitable, but with the economy on the rise and planes flying full, the airlines are getting cocky again. They feel they don’t need loyalty anymore. Or at least, they feel they don’t need it as badly as they used to. But look at the bright side. I have a few Delta drinking coupons that I’m going to give away tomorrow. Please stop by. Want to know more about free travel hacks? Sign up for my newsletter (top left). I’m changing a few things around here, since I have been criticized in your emails for slacking out with the newsletters, so I’m going to send at least one weekly digest. Let me know what you think. ← Chase Ritz-Carlton 140,000 Points Offer–What Is It Good for? Agree on all counts, Kumar.